It’s bound to happen. At some point in the four years that our kids are at college, the phone will ring and suddenly our mature, independent college student will sound like a preschooler once again. There is little worse than when they call and tell you how sick they feel and you are far away. Hopefully, and most likely, their illness will be a result of their new-found independence that includes lack of sleep and exercise, stress, not-so-healthy food, hygiene habits that don’t embrace enough hand-washing, and can be cured quickly and easily. I sent my kids to school with a little box that I literally labeled, “Things you may need that Mom can’t squeeze through the phone.” Inside the box, I put all sorts of things from a tiny sewing kit to Tums. When my daughter got her first cold, she was happy to find a thermometer, cold medicine and Vaseline for her chapped lips. When my son got a stomach bug, he was thrilled to find Imodium in his box. There are all kinds of sample size remedies that one can put in there. In my experience, my kids and I have had great results taking Source Naturals Wellness Formula. It has been a strong herbal defense supplement in fighting an illness that was recommended to me by a local natural health food store. Two a day for prevention but when you feel yourself coming down with something, you take 6 in the morning and 6 in the evening for two days. It has worked amazingly well for most everyone I have recommended it to. Sometimes their sickness may need care beyond the treasure box. FSU’s Health Center is pretty comprehensive. The Health and Wellness Center is an appointment-based center. Billing, if there is anything, shows on your student’s FSU account. HaveUHeard that any deductibles, co-pays, co-insurance, and charges not covered by your insurance plan will be billed to your student’s University Blackboard Account after the insurance company has paid its share. If it is not paid, the university can put a hold on your student’s account until the charges are exempted so make sure it is cleared up. They now offer a 24-hour call into a nurse or doctor; however, if the nurse escalates them to a doctor, there is a $40.00 fee if they do not have the FSU Health Insurance. FSU also lists places to go when they will not be able to get to the campus health center. If a student is traveling within the United States or are otherwise unable to visit University Health Services, HealthiestYou provides board- certified physicians. Using a computer or portable device, they can visit the HealthiestYou website at telehelp4students.com to learn more. They also have an app available. HealthiestYou physicians can diagnose and treat most minor illnesses and prescribe medication if necessary. CVS’s Minute Clinic and Patients First have a number of locations locally too. Both allow them to go online to check the wait time and reserve a place in line. Remember there is a short window that Tamiflu can be prescribed and useful. I highly recommend having your student fill out a waiver when they begin college. Don’t wait until they are sick. There is nothing worse than calling to find out how a sick or injured (adult) student is and being told the doctor is not authorized to talk with you. This past year, my daughter got really sick twice; once with the bad flu and once for a bad virus. It was difficult to get an appointment during flu season (seems that most students and teachers all got hit with the flu). I would recommend your student getting the flu shot this year. Read our blog for places to get the flu shot in Tally. Another consideration is to ask your family doctor for a recommendation of a general practitioner doctor in Tallahassee. Yes, your fees pay for the student health center but her now having a Tallahassee doctor will make getting an appointment a little easier. 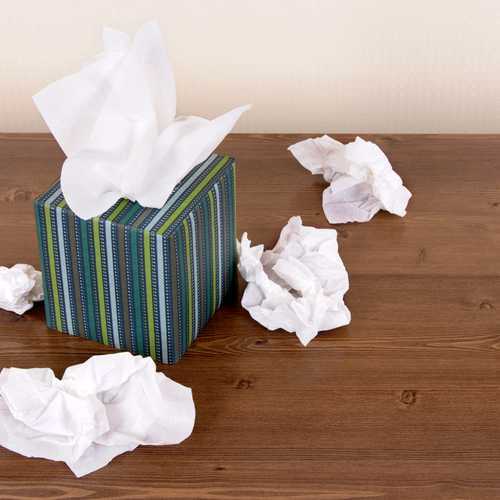 They are going to be at college for four years so establishing a relationship early may be worth it when the time comes that your student needs to be seen (although all bets are off when the flu season hits its peak). Be sure your student has a copy of their insurance card (perhaps leave it in the treasure box). If you want to send a little something to make your student feel better there are many options for having chicken soup delivered. FSU Hillel used to deliver but due to high demand, the program is temporarily on hold. Other places to get soup from are Panera, Pho 7, Newk’s Eatery, Zoe’s Kitchen, Pho Me Vietnamese Noodle Bar, and Wok N Roll. Many of these places deliver through Bitesquad, UberEats, GrubHub and more. And finally, you may want to remind your student to notify their professor if they will be legitimately missing classes and unable to get work done on time. They may even want to attach a doctor’s note.